Marc de Koning started as a DJ when he was 15 years old. His music style varies from deep and energetic house to underground progressive tech house. With his deep love & appreciation for house music, he began to produce his own music. In 2014 his music career took a turn for the better when Dimitri Kneppers, the pioneer of house music in the Netherlands began to incorporate Marc’s music into his sets. 2014 brought another boost for Marc’s DJ career with Luke Santos, a well-loved & talented DJ from Argentina who now lives in Amsterdam. They had a click and have been producing music together ever since. Their track ‘Numinous’, ranked in Hernan Cattaneo’s Top 20 Chart, and is being played at various festivals & parties, by Hernan Cattaneo, Dimitri, & Olivier Weiter to name a few. 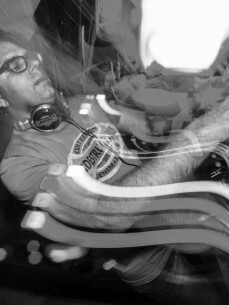 Marc de Koning is also resident DJ at RLGC (Recycle Lounge Gallery Club) in Amsterdam. Recently he started his own Podcast Heartbeat.